The USS Enterprise is patrolling the Klingon border when sensors detect a massive power source on a planet supposedly without advanced technology. Suspecting a Klingon plot, Kirk beams down to investigate in person, accompanied only by Dr McCoy and a small security team. But Kirk is in danger from an unexpected quarter, for the landing party includes Lieutenant Jon Anderson -- and Anderson is a Klingon agent on an undercover mission, briefed to report on the Enterprise and its crew. 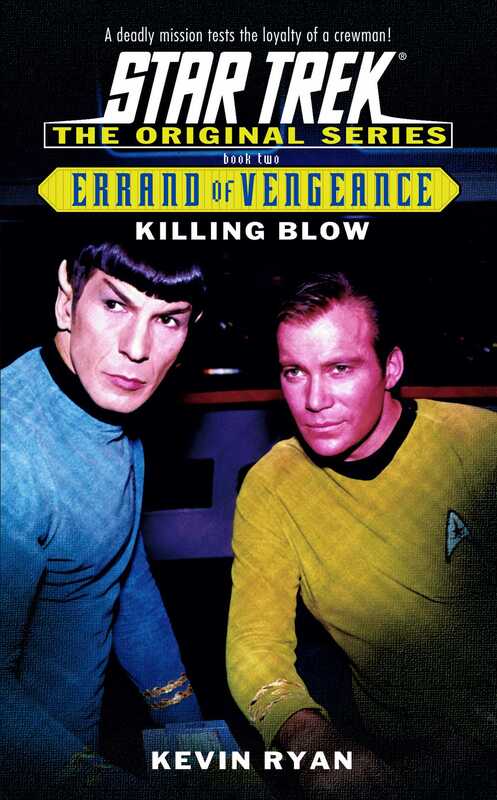 Anderson does not know if the Klingon Empire is at work on the unnamed planet, but if it is, then his duty requires that Kirk be stopped -- by any means necessary. Kevin Ryan is the author of Pocket Books popular Star Trek trilogy Errand of Vengeance, as well as Star Trek: The Next Generation—Requiem (with Michael Jan Friedman). He has also written the screenplay for the novel Eleven Hours and the Star Trek: Voyager episode “Resistance,” as well as two Roswell novels for Simon Pulse and thirteen various comic books published by DC Comics.